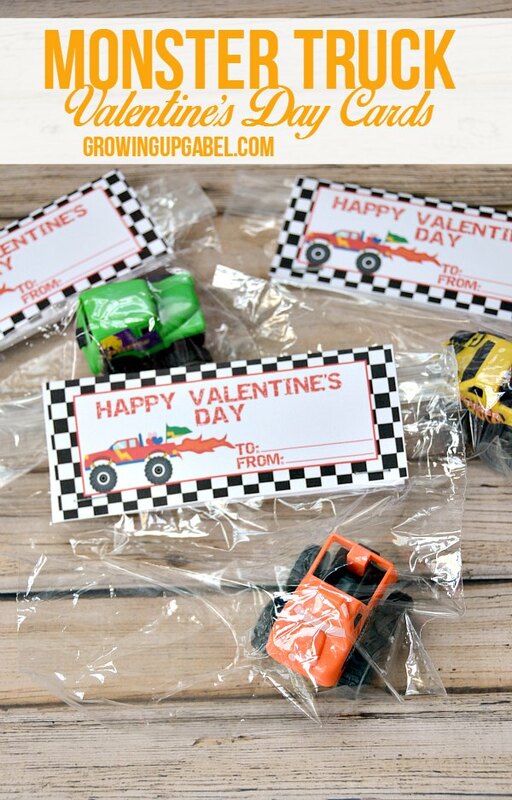 Need a fun idea for boys Valentines Day card? 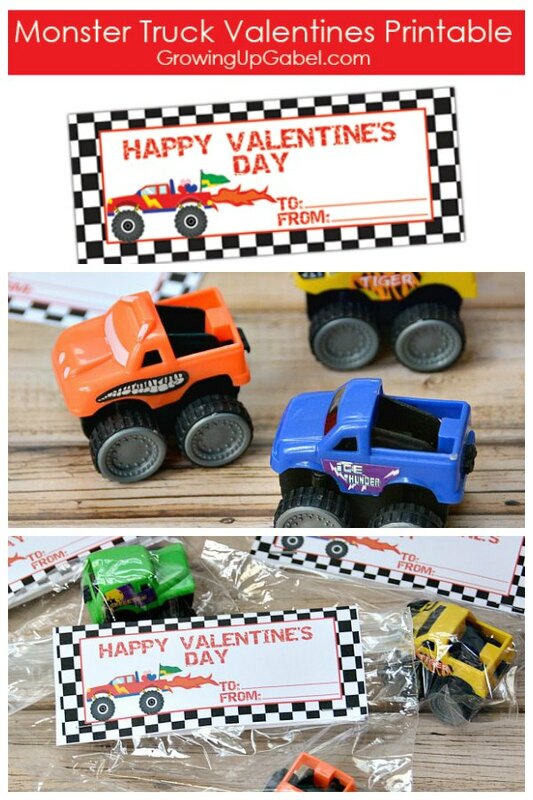 Print out monster truck Valentine's Day bag toppers for a fun Valentine's Day card your little monster truck fan will love! Three years ago my husband and son had the chance to attend Monster Jam for the first time. We weren't really interested in monster trucks before that time, but now, well, my son is a full fledged monster truck junkie. He watches Monster Jam videos online all year round. 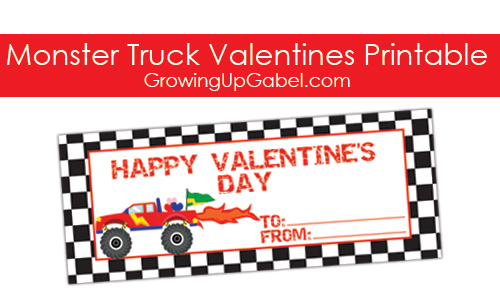 So I knew that my little guy would love monster truck Valentine's Day cards for his class. 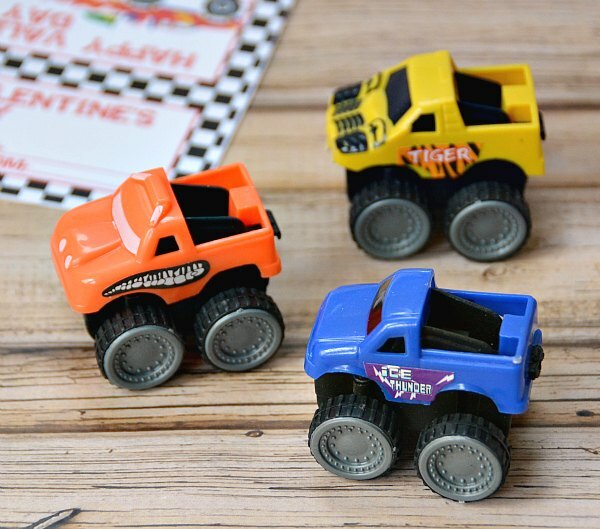 I happened to find a three pack of monster truck toys at the dollar store (but you can also find them online). They aren't the sturdiest of toys, but for $.33 each they definitely would work just fine. They came in different colors, too, so each one was a bit unique. 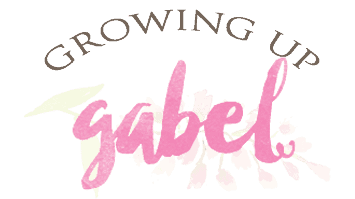 I also picked up a box of small plastic sandwich bags at the dollar store. I put a truck in each bag, attached a topper, and stapled the bag up. 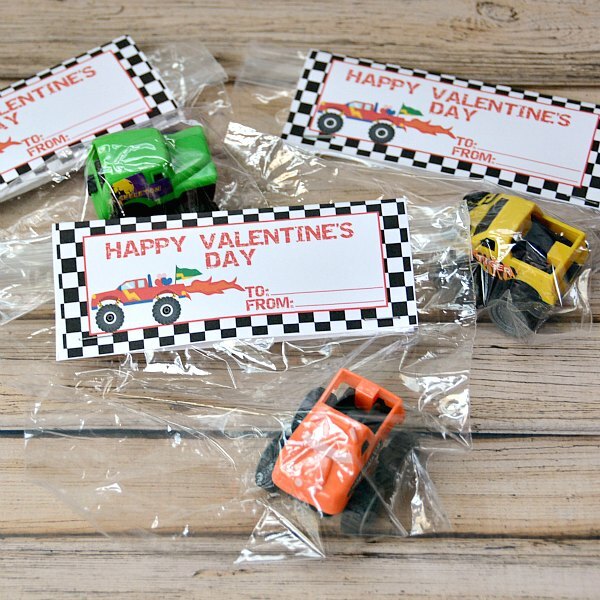 If you'd like some other ideas for Valentine's Day check out our fun Red Box Valentine's Day printables for a movie night gift or a “Made with Love” printable tag for any homemade gift. 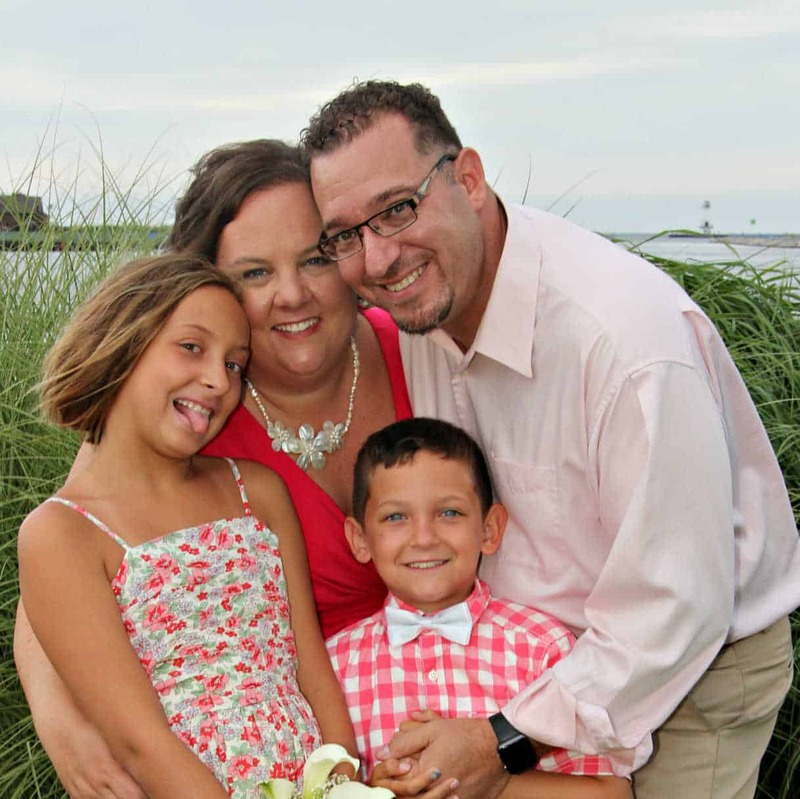 Just click the photo below to print the Valentines Day toppers!